Hard Floor Cleaners Commercial & Residential Beddington Corner CR4 | Quality Property Care Ltd.
Make sure you write down this phone number in your notebook 020 3746 4287! Give our professional hard floor cleaning customer support representatives a call to get more details about our services or get a free offer! We will respond to you as soon as possible. Attention: we work 365 days per year, so we will suit anyone`s personal or expert schedule! We have a specific approach into natural floor restorations. We always approach each individual floor individually, so before the floor polishing process, we always examine the surface at first. Once we spot the damages and the issues, we continue removing them with top quality green products and methods with zero risk. Thus, the floor remains intact and 100% refinished to make you happy again every time you look at it! Want to get that all? You will get at a bargain price and for all of these natural floor types: concrete marble, granite, soiled tile, terrazzo, limestone, tile, york stone, sand stone, travertine, slate, terracotta, victorian geometric quarry tiles floors. Get an ideal floor cleaning for Beddington Corner CR4 laminate floors, vinyl, linoleum, karndean and amtico floors. Quality Property Care Ltd. has long years of experience in cleaning and restoring hard floors of the residents and businesses of Beddington Corner CR4. The cleaners are trained and equipped to clean, remove stains, and polish and seal for protection to help avoid slippage and scratches. The specialised grout and tile cleaning company also offers professional grout colour sealing and recolouring, to rejuvenate your tile floor. 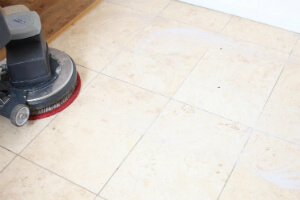 Also, you can get professional floor sealing and polishing services, professional vinyl floor cleaning and professional slate and stone floor cleaning, by booking one or more of its services. Common services provided, include: vacuum cleaning, spray applying, additional scrub, and a thorough dry and rinse of the floors. The booking slots are available 7 days a week, and all services are insured and constantly monitored and assessed for quality compliance. 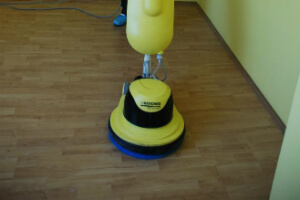 Choose Quality Property Care Ltd. Hard Floor Cleaning and Get Special Price! No deposit is required for booking the professional cleaning services. If you want to book a professional hard floor cleaning service, or a combination of different cleaning and treatment services, just call 020 3746 4287 right away or send the online booking form which will be received immediately by the customer care service. A written confirmation will arrive almost immediately via sms message and e-mail. After the service, your floors will be rejuvenated, clean, shiny and protected. You pay a fixed fee after the cleaning and other requested treatment is done.